The aftermath of the Wentworth by-election has shaken up Australian politics. 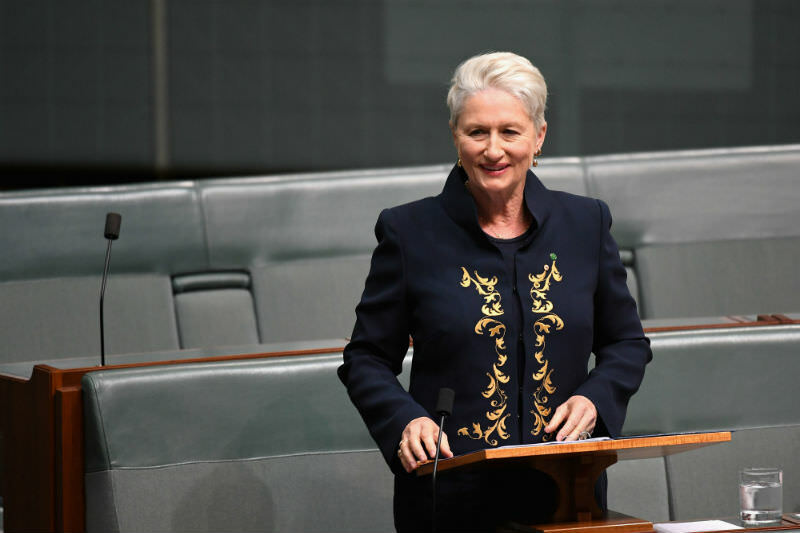 The election of Dr Kerryn Phelps in a blue ribbon Liberal seat has led to a renewed interest in independent MPs as a more local, less partisan and more community focused alternative, encouraging other campaigns. At first glance, the move towards electing independent MPs seems to be a repudiation of attempts to mimic right-wing populism and a vote for small l liberalism. But it shares more with populism than many care to admit. If we understand populism as centred around representing 'the people' against an existing, unrepresentative elite rather than a specific ideology rooted in nationalistic discontent against immigration and globalised trade, it becomes clear. The election of these independents are in fact a moral middle-class incarnation of populism. Their anti-political stance arises from a widespread mood where the electorate sees politics as detached from their lives. This populism of the liberal centre taps into public dissatisfaction with politics by rejecting the major parties and their methods of operating. Phelps' claim in her inaugural speech, that the political system 'has evolved to turn inwards and primarily serve itself, at times silencing the voices of reason and compassion', fits into such a populist narrative. It draws upon a tradition of good citizenship, to act in the interests of the people by being 'above politics', seeking a 'stronger relationship between people and our elected representatives' through a MP 'who would put the electorate first', as Cathy McGowan said. Chisholm MP Julia Banks' resignation statement from the Liberals, where she spoke of the actions of MPs being 'undeniably for themselves, for their position in the party, their power, their personal ambition, not for the Australian people' and that she would be putting first 'people that the major parties have stopped listening to' echoes this. This phenomenon is far from new. Attempts to do politics differently harks back to an older tradition, going as far back as the Australian Democrats, and can be seen in the election of other independents such as John Hatton, Ted Mack, Clover Moore and Tony Windsor. Much of MP (and future Australian Democrat leader) Don Chipp's resignation speech from the Liberals in 1977 would resonate in today's political climate. Chipp stated that the public was 'disenchanted with party politics as they are practised in this country and with the pressure groups which have an undue influence on the major political parties'. He went on to argue that 'the parties seem to polarise on almost every issue, sometimes seemingly just for the sake of it, and I wonder whether the ordinary voter is not becoming sick and tired of the vested interests which unduly influence the present political parties'. What is different now is the big decline in party loyalty and the extent of public dissatisfaction with politics that has made volatile swings more common. The Australian Election Study shows the extent of these changes, with the percentage of voters who have always voted for the same party falling from 72 per cent in 1967 to 40 per cent in 2016. Over that same period, satisfaction with democracy fell to 60 per cent from 77 per cent, and now only 26 per cent believe people in government can be trusted compared to 51 per cent. It is of little surprise that it has manifested in an increase of minor party votes to 23.2 per cent in 2016, up from 9.7 per cent in 1969. "As with the rise of populism on the left and right, this liberal populism will drag politics in a different direction now that it has the balance of power in the House of Representatives." Aided by our preferential electoral system, which uniquely helps independent candidates with a local profile, it has fused with knowledge of organising strategies, such as those used by Cathy McGowan, which are now more easily shared and better resourced. It shows that even in an era where participation in traditional community groups is declining and loneliness is on the rise, people will still come together to organise their local community for change if there is a sense of ownership and their participation is welcome. The lessons learnt in Wentworth (and other seats such as Indi) are likely to be applied to elect the independents in blue-ribbon urban or rural seats where this idea of good citizenship and community representation resonates. While these independents may have more progressive views on economic issues, it will not be what defines them or determines why voters support them, it is their civic-minded appeal. As with the rise of populism on the left and right, this liberal populism will drag politics in a different direction now that it has the balance of power in the House of Representatives. The government will be forced to treat climate change, asylum seekers and public broadcasting not simply as a culture war issue. Its precarious position may mean that the tone of political debate changes and it may be forced to deliver stronger integrity and accountability measures, just as minority government in New South Wales did in the 1990s. The national integrity commission and transferring asylum seekers off Nauru being the centre of political discussions are evidence of a shift beginning. While it may not grab the attention of ordinary Australians, many of whom are increasingly politically disengaged, it may result in a less overtly adversarial tone of debate and improved transparency, integrity and accountability in our public institutions, all needed to rebuild trust and satisfaction with our democratic institutions. Being outside established parties and requiring their own base to get elected, these independents are unlikely to face the same pressures, not needing to face the same compromises and challenges, and being less likely to disappoint their electorate. Their rise may help counteract the influence of illiberal right-wing populism but it also shows that to gain traction, it has required a populist narrative that rejects the existing order as not representing 'the people'. It shows that populism continues to dominate Australian politics even among these new liberal centrists who oppose it. Thanks Michael! Kerryn Phelps has had a win getting Labor to support her Bill to get all the asylum seeker children and their families off Nauru and also adults who have been judged as seriously ill by two doctors. This is good first step, but in my opinion doesn't go near far enough. All the major parties have adopted this cruel policy of indefinite off-shore detention. A doctor from Medicines Sans Frontiers said that when she was on Nauru there were 8 children and 2 adults diagnosed with resignation syndrome, a rare life threatening illness where people have given up on life and simply lie down, refuse to eat or drink, and prepare to die. How would our politicians react if they were forced to stay in one of these camps for over 5 years, with no hope of being able to live a normal life? Our major party politicians are engaged in a political game of brinkmanship. Who will go soft on border protection first? Sadly some lives of innocent people who tried to come here seeking asylum, which they have every right to do, have already been lost. Others are so traumatised that they may never fully recover. To Kerry Phelps. Congrats on being a woman, a mother and on having your say, heard. Please stop taxpayers money being absolutely wasted (again) on useless, colored dust and ashes. LOUD, vulgar, harmful to those suffering from asthma, noisy, causing distress to small children, dogs and cats. Money wasted on the fireworks planned to go off on the 31th of December 2018. With 500 more kgs this year. What's a really good blast of Authentic Australian ethos? A cheaper humane way. How about an international distress signal: Three piles of huge rocks in a triangle, in front of the Opera House. Three flashes of a light,( shot in the night sky) in succession followed by a one-minute pause and repeated until 'the' response is received. The response to what? To the distress every refugee child is experiencing on Nauru. For how long? UNTIL EVERY REFUGEE CHILD IS OFF NAURU. If you are in any doubt. Just ask any aboriginal child, who knows about the fireworks in honor of his/her people at this New Year's Sydney Celebration, what he/she thinks about children his/her age and younger, being kept by Australian adults, in a cage. Then ask him/her, if he/her would rather watch the fireworks this year or get the children out of 'that cage'. Ask any child! Kerryn Phelps has worked in a much more robust domain than politics: that of the general practitioner surgery. Independent candidates bring to the table the great advantage of 'not fitting in'. It's a pity the Australian electorate's imagination has been dimmed by major party politics. It's much more interesting to go to a specialist delicatessen than shop at Woolies or Coles, isn't it. I don`t really accept your thesis here , Osmond, although you make some good points. Rather that being populist, I see the election of centrist independents as a repudiation of the drift of our parties towards the overt populism of the right and left. Labour has been responding to the left-wing threat of the neo-marxist, extreme "progressive", and uber-environmentalist Green Party that appeals to the relatively well educated, affluent and disproportionately state-employed inner-city electors, while the right-wing conservative coup against Turnbull was precipitated by trying to maintain that faction of the Liberals against Hansonism and the right-wing forces displayed in recent Queensland by-elections. These political movements have meant an increasing vacuum appearing in the centre of Australian politics where most of the electorate probably exist, but where no established party is currently fishing. Rather than the simplistic slogans of Populism, I believe that what this element of the electorate wants are sensible, rational, non-dogmatic, long-term, constructive approaches to our many complex national challenges and international obligations, but which are both humane and not inherently damaging to jobs and future national wealth. Turnbull was thought capable of this but failed badly though appeasing internal party enemies epitomised by Tony Abbott. We desperately need such a party of the centre that might alternatively be in coalition with Labour and Libs; otherwise we will continue to the get the current dysfunctional mix of bad policies with rapid turnover of both weak leaders and governments, resulting in poor national progress.